If you knew nothing about packing tape and walked into your local hardware or office supply store, you would most likely come away with a roll of polypropylene tape. You can confirm this by pulling the tape off the roll and listening for a loud crackling noise. 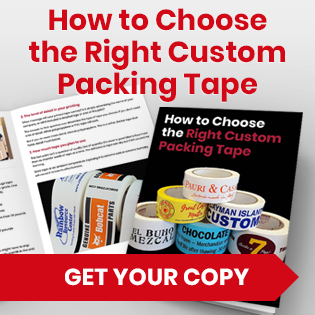 It’s the most popular form of packing tape, for a few important reasons. 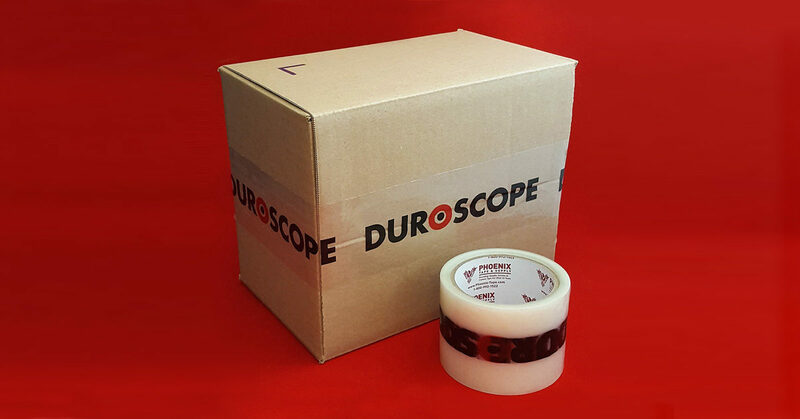 If you need to conserve shipping costs when ordering custom packing tape, go with polypropylene, which is typically priced lower than other tapes. 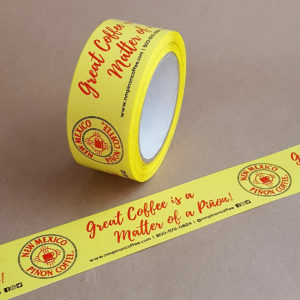 Do you need printed tape that shows a lot of detail? Then you’ll want to choose polypropylene tape over its PVC counterpart. 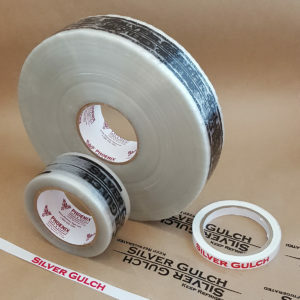 Both tape varieties will work if you’re looking for basic printing (for example, tape that simply lists your company’s name). Polypropylene tape uses a polymer plate for its printing, making it a better choice for long printing runs with a lot of detail. But the printing on PVC tape is produced with a kneaded rubber plate. As time goes by, that rubber absorbs the ink used in printing and starts to swell. The printing becomes thicker and details become less defined. If you need to ship heavier products, pick a tape with a greater thickness. Polypropylene and PVC tape thickness is measured in mils, with one mil equaling one thousandth of an inch. Tapes are typically between 1.6 mils and 3 mils. As the tape becomes thicker, the adhesive is more aggressive. Polypropylene tape ranges from 1.9 mils to 2.9 mils, which you’d use to ship packages that weigh more than 50 pounds. It adheres nicely to corrugated cardboard boxes but remember that weight is more important than box size when choosing custom printed tape. 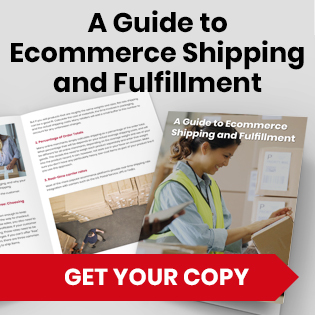 You might have a large box that’s only holding a 15-pound product surrounded by void fill. Polypropylene tape is known for the crackling sound it makes when you unpeel it from its roll. We’d be willing to bet you can hear that noise in your head as you read this. 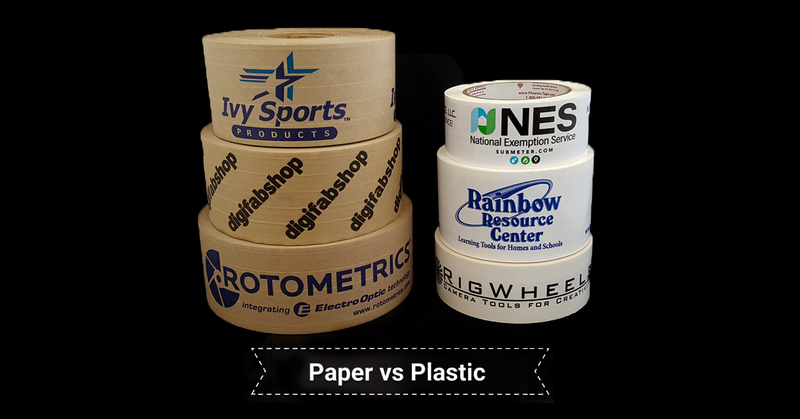 Whether you think polypropylene tape or PVC tape is right for your products, Phoenix Tape has you covered. 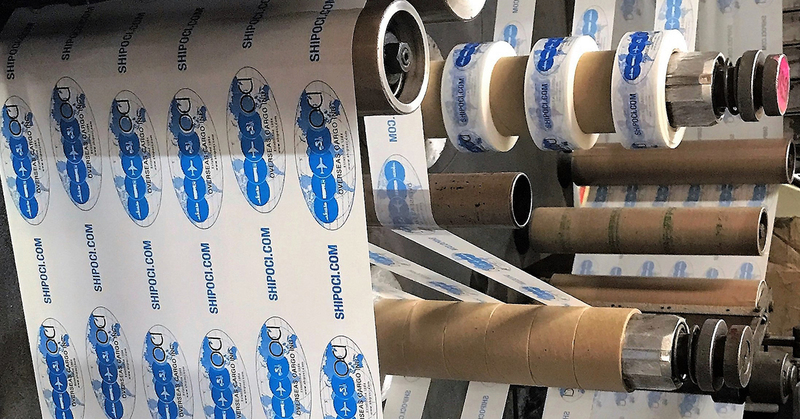 For more than 30 years, we’ve been producing quality custom packing tape designed to increase your brand awareness while keeping your goods secure. Contact us today to speak to our sales and design team. 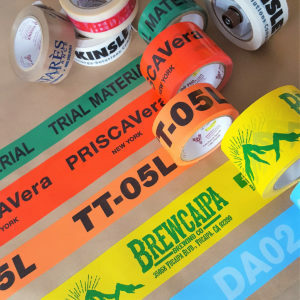 We look forward to steering you toward the right custom printed tape.